JOYCE HILDA MTILA BANDA, President of Malawi, recalled that when she had assumed her country’s presidency, she had outlined her Government’s commitment to addressing the political and economic governance problems it had inherited. Painful but necessary reforms had been undertaken, but today Malawi was registering a strong economic recovery. Foreign exchange and fuel were now available, the currency had stabilized and inflation was declining, she said, adding that the “warm heart of Africa is warm again”. She highlighted the important role played by the Millennium Development Goals in concentrating international efforts around the common purpose of eradicating poverty and in providing a common framework for monitoring progress. Malawi was on track to achieving four of the eight Goals — reducing child mortality, combating HIV/AIDS, ensuring environmental sustainability and developing a global partnership for development. 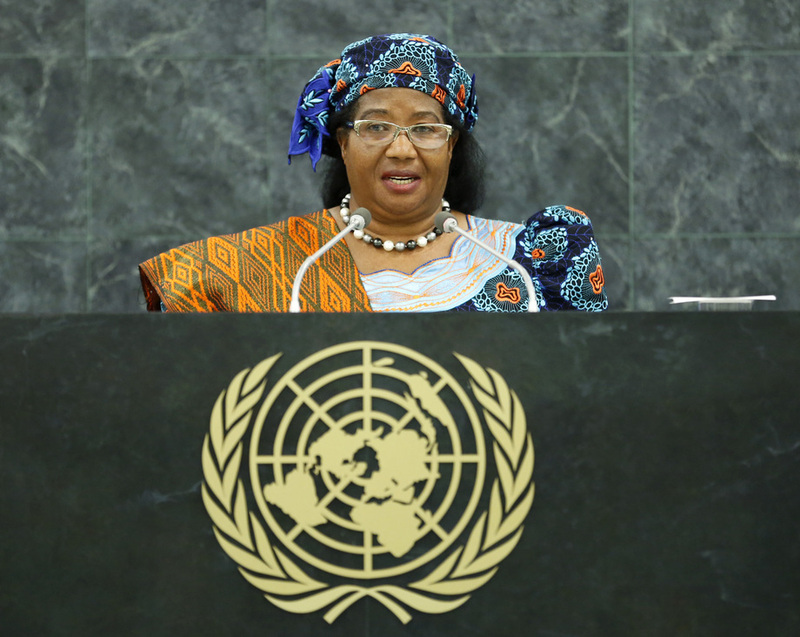 As 2015 approached, Malawi had identified best practices, as well as challenges upon which to reflect and act, she said, adding that gender inequality and the lack of women’s empowerment were among the latter. The strength of the Millennium Goals lay in their being targeted, she continued. Another positive factor was strong political will and “transformational partnerships”. However, “different continents were at different levels of development” when the Goals had been set. The report of the High-level Panel of Eminent Persons provided a strong foundation for an overall vision aimed at ending extreme poverty by 2013. However, there was a need to reverse the top-down approach on which the Millennium Development Goals were based. Income for poor households must come first because many issues concerning population growth were affected by the lack of income — malnutrition, girls’ access to education and maternal health, to mention a few. Her Government, therefore, was trying to break the vicious cycle of underdevelopment and poverty, particularly in rural communities. She said that, as a mother, she felt compelled to emphasize the need to attain global peace and security, particularly as the international community looked forward to the post-2015 development agenda. Conflict, instability and civil unrest disrupted development, she noted.